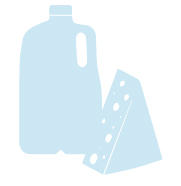 Lactose intolerance is one type of food sensitivity. 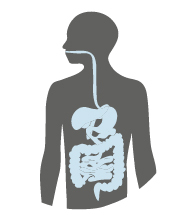 People who are lactose intolerant do not have enough lactase, the enzyme that breaks down lactose (a sugar naturally found in milk), in their digestive system. Those who are lactose intolerant may experience discomfort after consuming more lactose than their system can handle at one time. Lactose intolerant? That doesn't mean you can't continue to reap the benefits of a cold, refreshing glass of milk or other dairy products. In fact, despite some common misconceptions, most people are able to enjoy dairy even if they are lactose intolerant. There are a variety of tips that may help you enjoy the recommended 3 servings of low-fat or fat-free dairy foods every day - without having to experience the discomfort that comes with being lactose intolerant. As a parent, you try your best to keep your children healthy, which isn't always easy. 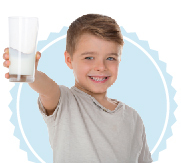 Today, with new information about lactose intolerance, making sure your child is getting adequate nutrition during his or her growing years is easier than ever.